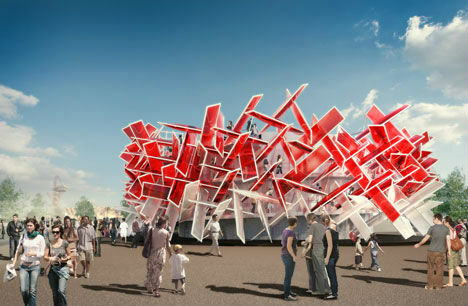 Bold and interactive, the Coca-Cola Beatbox by London architects Pernilla & Asif will beckon visitors inside to play music and gaze out at the London 2012 Olympic Park. 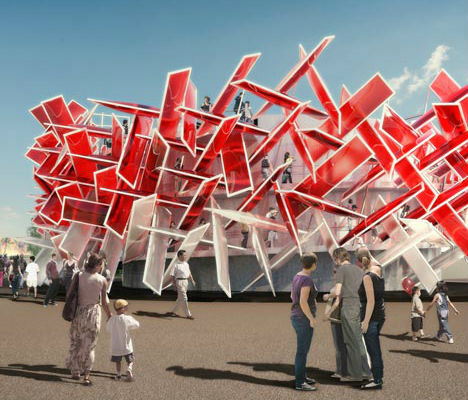 The eye-catching red-and-white pavilion can actually be played like a musical instrument by interacting with sounds imbedded into the architecture itself. 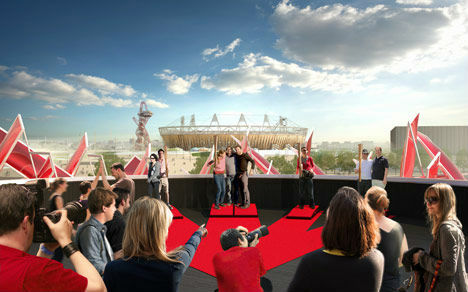 The design was inspired by Coca-Cola’s ‘Move the Beat’ campaign, which aims to interest teens in the Olympics through a combination of music and sports. Visitors to the pavilion will be able to create their own tunes by remixing sounds that were recorded from various Olympic sports by music producer Mark Ronson. 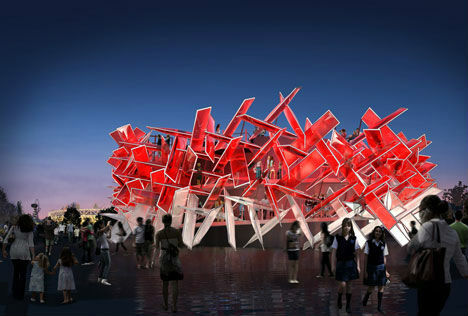 The Coca-Cola Beatbox will be covered in ETFE plastic pillows that are sensitive to touch and movement. Once visitors make their way up the spiraling staircase that runs through the pavilion, they’ll be rewarded with panoramic views.